OK … ‘I’m an artist.’ There, I said it. Reality is … I like making things. I love the problem solving process and skills development involved in combining a bunch of materials into one some-thing. My art is typically sculptural (3D and 2D) in form but very definitely multimedia. 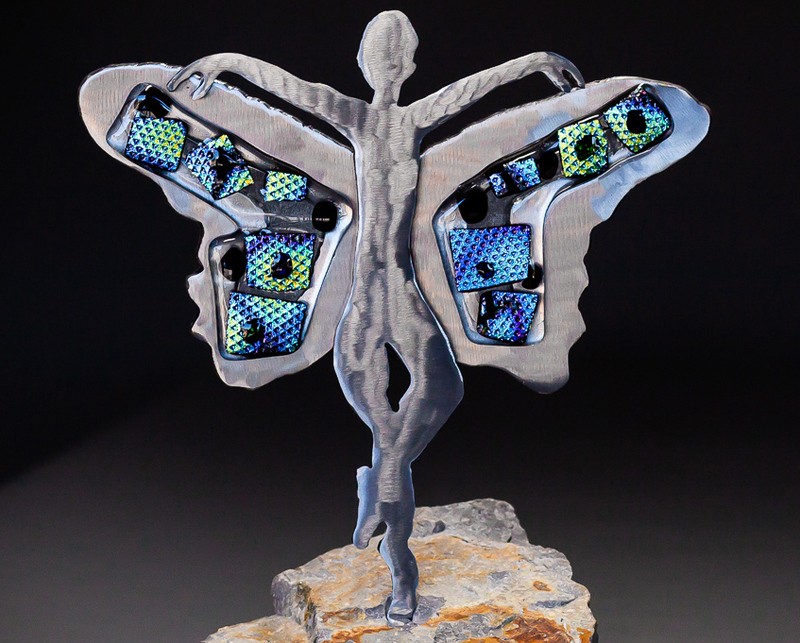 I use combinations of metal, ceramics, fused and mosaic glass, stone, patinas, paint and whatever else catches my eye to create visually interesting and, if the muses were donating me some attention, emotionally connecting pieces. My focus is now on figurative art, ranging from somewhat whimsical to abstract to … whatever is next. There is plenty of other art to be found here as well so, please click around. I enjoy writing, so you get that here too. 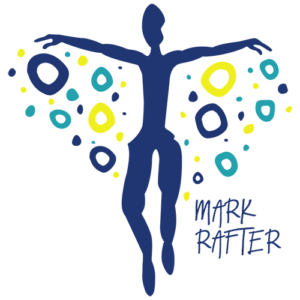 If you’d like to learn about my why & how I make the art that I do, my thoughts on the spiritual connection to art and the creative process … or whatever else I’m thinking lately, read my blog. Please comment, I’d love to hear from you. I have been drawn (no pun intended) to figurative work since before I started metalworking. Matisse’s cutouts, Giacometti’s Walking Man sculptures, Bill Worrell’s shamans … have been imprinting my brain for some time with various abstracted versions of the human form. My pieces range from earlier shamanic and anthropomorphic figures to the abstracts I’m doing now. Media include combinations of ceramic and steel as the primary component, complemented with fused and mosaic glass. We live in north San Diego county with lots of sun and outdoor space. As I began to truly focus on my craft as an artist, my first inclinations were to make Garden Art. 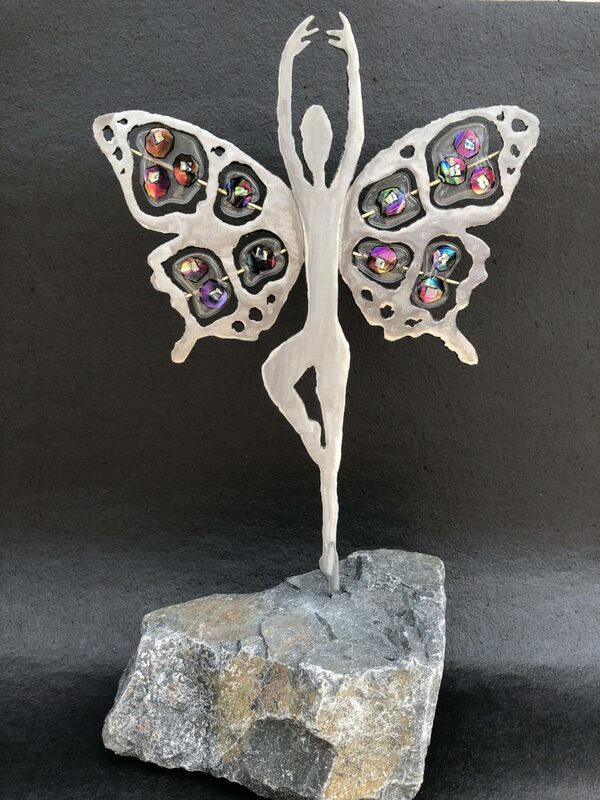 I started with metal flowers to figure out how to use my new tools (plasma cutter, welder, etc) and then moved into what I was really after: Dragonflies. Dragonflies have broad inspirational value to me. There is the visual appeal: they come in dozens of colors, have these intricate, diaphanous wings and multi-faceted eyes that cover 2/3s of their heads. There is the philosophical angle: the fact that they start as nymphs in the water and eventually take to the air adds to their being a part of my story and another reminder of metamorphosis and the power of change. 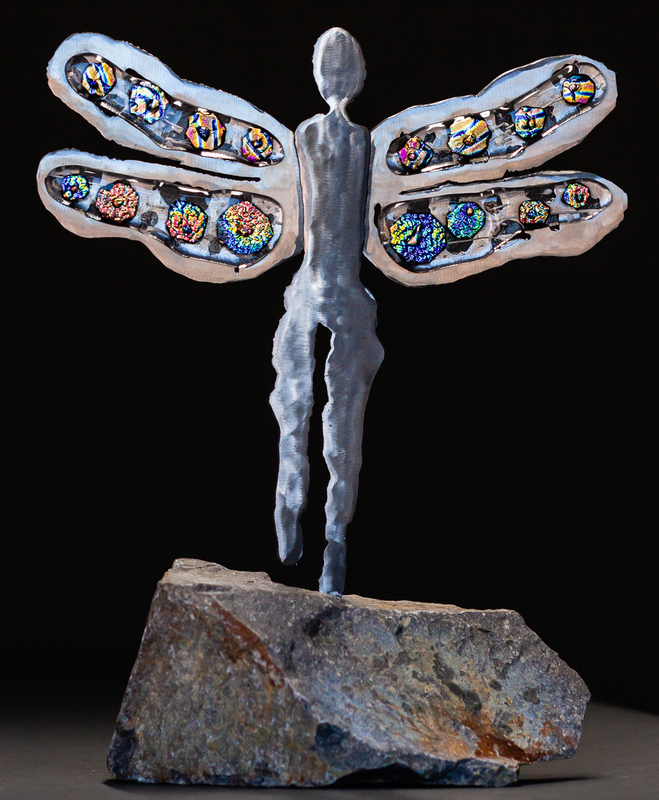 Then there is the educational aspect: making dragonflies offered me the opportunity to learn increasingly complex sculpture construction techniques using metal, glass, clay and other materials to make enduring outdoor sculptures. Like I said, I enjoy making lots of any-things. Since my creativity and inspirations on a given day often rightly refuse to comply with premeditated website categories, I offer you … the Eclectic Art Gallery. This includes a wide range of randomly conceived sculptures, paintings, clothing and whatever else I dream up that’s good enough to take a picture of.